Tips on improving warehouse productivity: Use 3D printing! 3-D printing technology, which allows on-demand production of various components for manufacturing at the location itself, can improve productivity by eliminating the need for any transportation, thus reducing the cost and lead times significantly. Managing inventory effectively and maximizing warehouse productivity rank on top of the priority list of almost all warehouse managers, according to Procurious.com. Kevin Hill of Quality Scales Unlimited offers some tips on how to improve warehouse management. The objective of cross-docking is to reduce the shelf storage time of stocks in the warehouse. It helps in transporting warehouse delivered goods quickly to the outbound carriers that can take the stocks to distribution centers. Make sure that the warehouse layout supports cross-docking. Author Supercharg3dPosted on 27th February 2017 23rd March 2017 Categories Supply Chain ImpactTags Logistics, WarehousingLeave a comment on Tips on improving warehouse productivity: Use 3D printing! A good article from John Horner, a leader in the legal aspects of 3D printing. 3D printing has the potential to transform the world by simplifying manufacturing, shortening supply chains, democratizing production, creating jobs, and customizing products to our needs. But 3D printing can also be the devil’s playground. 3D printing also has a dark side. Guns have already been 3D printed and criminals are using 3D printers to create new forms of crime. Almost everyone has heard about the Texas law student, Cody Wilson, who made headlines in 2013 by 3D printing a plastic gun and posting the blueprints on the Internet. The blueprints were downloaded 100,000 times before the US government forced their removal from the server. But if it had not been Cody, it would have been someone else. In fact, the ZigZag plastic gun was 3D printed in Japan shortly after Wilson printed his and the maker went to jail. In 2015, police in Oregon made arrests for the illegal possession an AR-15 assault rifle. Its lower receiver—the key to what makes it a weapon—was believed to have been 3D printed. A gun and 3D printing enthusiast called Derwood built the “Shuty” semi-automatic handgun partly from 3D printed parts. The weapon fired at least 800 rounds. More recently, a “Guy in a Garage,” as he calls himself, 3D printed the “Songbird,” which uses rubber bands for springs and a roofing nail for a firing pin, and fires multiple .357 rounds. NASA has pondered the idea of manufacturing in space for nearly twenty years. Now, with the use of additive manufacturing technology, they are closer than ever before. 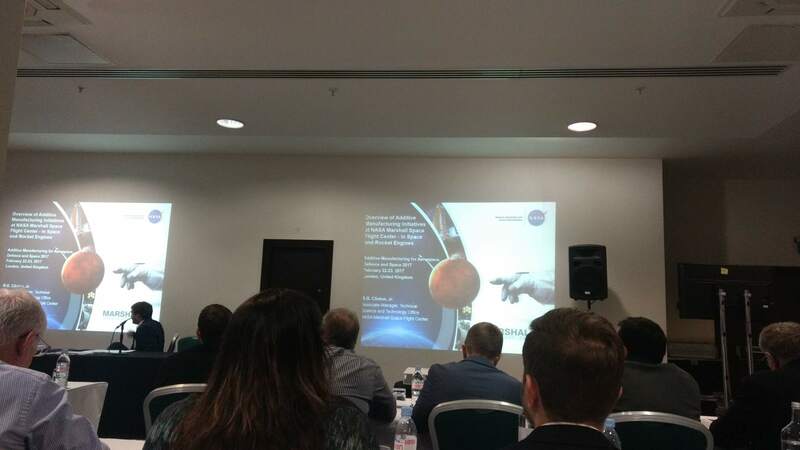 In a talk at the Additive Manufacturing for Aerospace, Defense and Space conference in London, NASA’s Dr. Raymond ‘Corky’ Clinton explains how the U.S. space agency is working with 3D printing to enable in-space manufacturing (ISM). Dr. Clinton is NASA’s Acting Manager of Science and Technology Office, at Marshall Space Flight Center. During this talk, Clinton gave an update on the space agency’s plans for the technology and possible challenges. 3D Printing: Should you go open source? The issues of IP are some of the key considerations when embarking on a path towards having 3D printing in the supply chain. Along with all of society’s rules and mores, patent law and intellectual property (IP) have changed over time. We are now living in the post-Internet era, in which ideas and files are exchanged all around the world on a regular basis. It is now possible to download Phil Collins’ entire discography, whether it’s legal or not. It’s also possible to download 3D printable guns, legal or not. Author Supercharg3dPosted on 22nd February 2017 5th March 2017 Categories Wider ImplicationsTags IP, LegalLeave a comment on 3D Printing: Should you go open source? 3D Printing is at a tipping point and about to go main stream in a big way. It has been predicted that the industry will go through revolutionary changes when 3D Printing gets common and we aim to be among the ones making this revolution happen. Technology has moved well beyond prototyping, rapid tooling, trinkets and toys; Additive manufacturing is creating durable and safe products for sale to real customers in moderate to large quantities thereby impacting the economies of scale. The beginnings of this revolution showed up in 2014, when through a survey of over a 100 manufacturing companies, 11% of them had already switched to volume production of 3D Printed parts or products; according to our analysis we call a particular technology to be mainstream when it reaches an adoption level of over 15%. Numerous companies in multiple industries are ramping up production and observing these developments and we opine that 3D Printing is ready to emerge from its nascent stage to becoming a viable alternative to conventional manufacturing in multiple industries for various applications. More companies will follow the major players and with this revolutionary shift, companies should start engaging strategically to see how they could improve their offerings, revisit their operations and the implications it could have on the commercial ecosystem as a whole. African organization ReFab Dar are hoping to use 3D printing to create vital medical supplies in Africa and other developing countries. In order to do so they are working on a number of initiatives including a design competition for 3D printed medical tools. 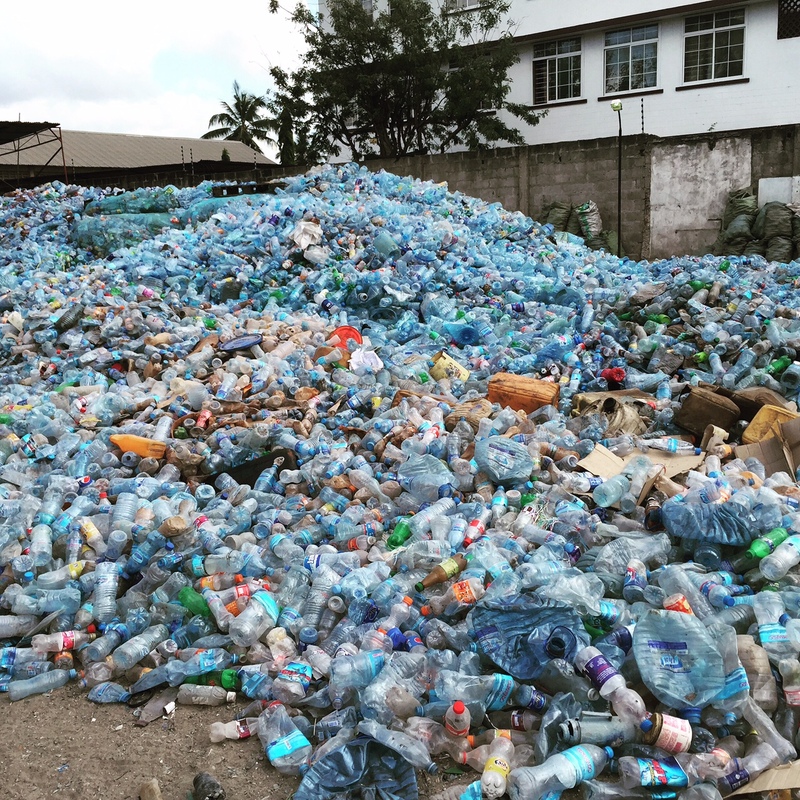 The program’s main aim is exploring, “how plastic waste can power entrepreneurship using 3D printers in Tanzania.” ReFab Dar are currently recycling waste and turning it into 3D printable plastic filament. From this, they intend to create medical supplies, farming equipment and even research tools like microscopes. In this ‘Hack 4 Health’ challenge they are focused initially on the creation of HIV prevention and birthing equipment. Beyond the hype: What’s next for industrial 3D printing? While not agreeing with the relevance of the opening point on consumer 3D printing, this is a timely overview of the state of industrial 3D printing from Vicki Holt at Proto Labs. It wasn’t long ago that 3D printing was one of the buzziest technologies around. We watched as a 3D printer recreated a bust of Stephen Colbert on TV. We heard from industry analysts who were bullish on adoption of the technology. We imagined a future with a 3D printer in every home when major retailers began selling them online and in stores. Fast forward to today. The potential of 3D printing remains enormous. Global spend on the technology is expected to climb from $11 billion in 2015 to nearly $27 billion in 2019. But with all of the early excitement now behind us, where does 3D printing stand today? And where will it go in the future? Author Supercharg3dPosted on 15th February 2017 20th February 2017 Categories Paradigm Shift, TechnologyTags Industrial 3D printingLeave a comment on Beyond the hype: What’s next for industrial 3D printing? New changes to 3D printing technology are increasingly opening up the opportunity for making production parts, beyond prototypes. HP’s new Multi Jet Fusion is one such new product now available. 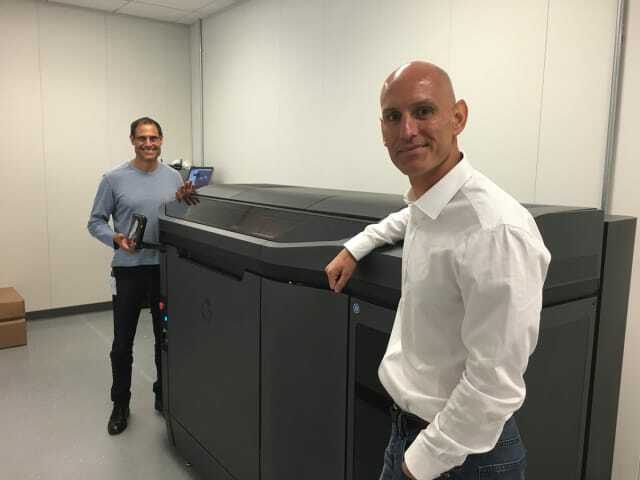 Last year, HP finally introduced its Multi Jet Fusion (MJF) 3D printing technology to the market. 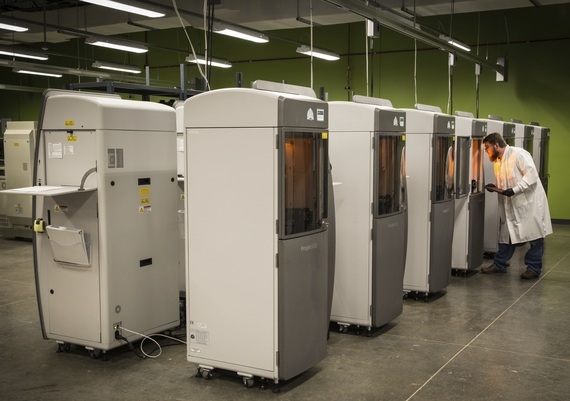 With it, HP promised the ability to produce end parts with quality and efficiency unmatched by other additive manufacturing (AM) processes on the market. If there’s one company that would be able to vouch for these claims, it’s Jabil Circuit, a massive contract manufacturer with 90 facilities across 23 countries and, also, HP’s foundational partner for MJF. ENGINEERING.com spoke with John Dulchinos, VP of Global Automation and 3D Printing at Jabil, about how a large manufacturing services company like Jabil uses AM in house and MJF as a technology for end part production. Post-production finishing (PPF) is a necessary reality for most end-product manufacturing used today. However, there is increased focus on improving the quality and time of both PPF and the actual 3D printed parts from printers. Encouraging to see UK Government getting behind the 3D printing push. Additive Manufacturing Technologies Ltd. (AMT) will receive a £624,000 ($782,000) grant from Innovate UK to refine a new automated post-processing method for 3D printed parts. The Sheffield company will work within a consortium along with fellow British company Xaar (LON:XAR) who produced inkjet printheads. The government-run Innovate UK is an driver of change in the UK’s manufacturing industry. It operates in a similar to the way the America Makes program that funds additive manufacturing developments in the US. So far in 2017, Innovate UK has also launched a project encouraging the use of 3D design in British industry. In the past they also backed the Bloodhound Supersonic Car, which hopes to break the land speed record through use of 3D printed components.